Usually, pictures of the shuttle, taken from space, are snapped from the space station. 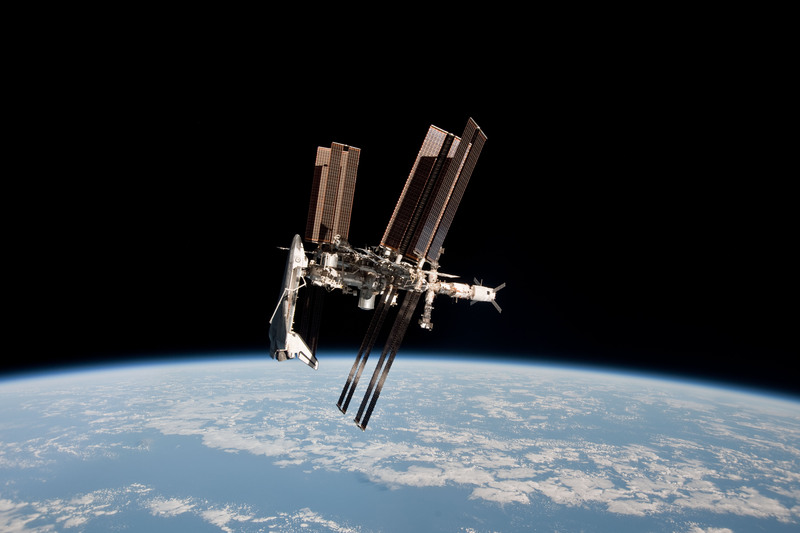 Commonly, pictures of the space station are snapped from the shuttle. How, then, can there be a picture of both the shuttle and the station together, taken from space? The answer is that during the Space Shuttle Endeavour’s last trip to the International Space Station in 2011 May, a supply ship departed the station with astronauts that captured a series of rare views. The supply ship was the Russian Soyuz TMA-20 which landed in Kazakhstan later that day. The above spectacular image well captures the relative sizes of the station and docked shuttle. Far below, clouds of Earth are seen above a blue sea. 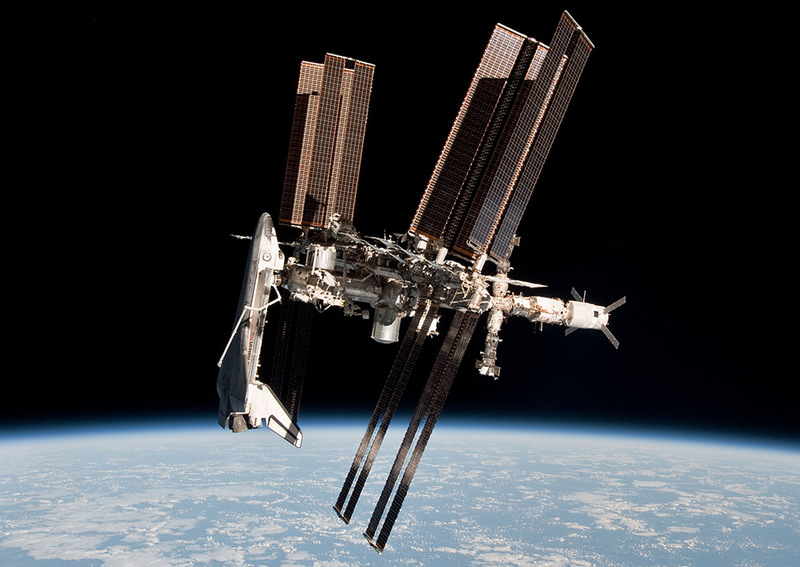 This entry was posted in Satellites and spacecrafts and tagged endeavour, iss, space shuttle by Thomas. Bookmark the permalink.